Every system in our body should be working optimally, whether it is our nervous, cardiovascular, endocrine, reproductive or immune system. For most of us, fall and winter mean potential colds, flu, arthritic conditions, asthma, allergies and changes in sleep patterns as we respond to Mother Nature’s climatic changes. Many of us simply wait for the symptoms of illness to present themselves, and then try to deal with these indications and pathogens once we have allowed them to take up residence inside us. It is important during these seasons that we adjust and align ourselves to bolster our immune systems. Every system in our body should be working optimally, whether it is our nervous, cardiovascular, endocrine, reproductive or immune system. Each one must be finely tuned to function at its best, allowing us to stay healthy in spite of the external pathogens that come our way. Every organ should energetically be performing optimally. Our spleen, stomach, lungs, kidneys, liver, gall bladder and heart all need to work together as a team to benefit us, and prevent illness from striking. Fortunately, there is a way we can prepare ourselves. Chinese medicine and acupuncture have long helped with this, strengthening our immune systems and tuning us up for the upcoming weather. 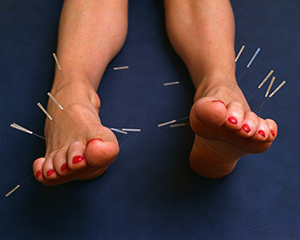 When our immune systems are strong, viruses, allergens and toxins are unable to take up residence in our bodies long enough to make us feel ill.
A well-trained and experienced acupuncturist, versed in diagnosis and internal medicine, can help keep the body healthy during the coming illness-prone seasons. Even if we absorb one of these potential pathogens, it will not affect us near as badly as it might without the use of preventive Chinese medicine and acupuncture. Prevention increases longevity, balances our emotions, boosts energy levels, increases circulation and generally improves the quality of our lives. Drs. Steven Cooner, O.M.D., PhD., L.Ac., L.M.T., and Helene Cooner, O.M.D., L.Ac., L.M.T., are doctors of Oriental medicine, state-licensed acupuncturists and licensed massage therapists. They are located in Scottsdale at 3080 Civic Center (and Earll). www.wellnesssolutionsaz.com or 602-625-6612. Do allergies mean you have immune problems?